Medical marijuana is legal in 14 states in the US and this is due to the fact that doctors believe that marijuana has healing properties. Under the federal law, growing marijuana, using it or having it in your possession is a criminal offence and for this reason, it is important that unless you have your physician’s recommendation to use it, you don’t even think about growing indoor medical marijuana at home. For those who have obtained a license for indoor medical marijuana growing legally, it is important that you learn the techniques of growing and cultivating marijuana. Given below is a short medical marijuana growing guide that can help you understand the process better. 1. Choosing a space to grow – some great places include basements, closets and attics. No matter which indoor location you choose, make sure that it has access to electrical outlets. 2. Containers – you will need to grow your plant in a pot or a container. Always make sure that you use large plastic pots. 3. Lighting – if you grow the plant indoors, then there are no chances for your plant to get sufficient sunlight. Since plants like marijuana need a lot of sunlight to grow well, you can use artificial lighting to give your plant all the light it needs to grow. Some great options include fluorescent lights, metal halide lights and high pressure sodium lights. 4. Consider the factors that will affect the rate of photosynthesis – apart from the amount of light reaching the plants, there are other factors that will affect the rate of photosynthesis. These include humidity, temperature, carbon dioxide, water, etc. 5. Harvesting – the best time to harvest is when the plants have started flowering. Wait for the flowering process to complete. Cut the plants, remove the lower big leaves and place the plants in shoe boxes. Stir them around on a daily basis as this will help them dry quickly. Once the plants have dried completely, they are ready for use. Delivery Service Business – TODAY? YES YOU CAN and for ONLY $500*! * keep reading to find out how to save $200! Start a cannabis (medical marijuana) delivery service and get confidential, complete attention from people who already are in the business! You’ll have IMMEDIATE BUSINESS CONNECTIONS or simply make new ones with our experienced team which includes “old school” expertise in law, business operations, cultivation, transportation, security and consumption. Are You Ready to Get Started In This Exploding Industry? 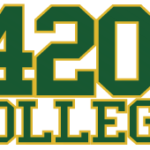 Then, 420 College’s 1-On-1 Confidential Workshop is for you. Explain state requirements to start a legal “dispensary” *; as a member-driven, collective cultivation and delivery business. Create step-by-step marijuana business plan to start your marijuana business and file all necessary medical marijuana business paperwork at the time of the counseling. 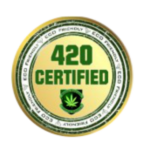 Marijuana business licenses that set you up to grow and deliver medical marijuana to patient-members. Marijuana business permits and other marijuana business paper work that you will need to complete and file. What to write and what not to write on business application and where to go. Unincorporated Non-profit & Mutual Benefit Corporation options. Marijuana Merchant accounts so you can accept credit cards. Pros and Cons of retail, delivery and grow operations. Advertising, marketing and promotional how-tos, examples and strategies. How much money, equipment, other resources are needed to make a good start? (you need this to get into business). “Authorization to Transport” medical marijuana. “Authorization to Cultivate” medical marijuana. ** Professionally written by Wm. Bill McPike and adopted for 420 College use, these forms are critical to your collective’s success! We will cover how to operate your business legally and safely so that you NEVER run the risk of breaking the law and have the best chance at delivering quality medicinal materials, consistantly, to your own co-op, collective, club or for your own delivery service patient members.